VIERA, Florida -- Congressman Bill Posey (R-Rockledge) introduced legislation aimed at boosting local and statewide economic growth by reducing bureaucratic hurdles that make it harder for foreign tour companies to bring tourists directly into Melbourne International Airport. Specifically, Posey's bill - Services to Allow New Destinations for Tourism Act or STAND for Tourism Act (H.R. 5968) - authorizes the U.S Customs and Border Protection (CBP) to receive reimbursements from non-federal government agencies for inspection services on an infrequent or seasonal basis, thus allowing smaller ports of entry to accept more international travelers. “Congressman Posey’s STAND for Tourism Act addresses a major hurdle to expanding international service to the region and the state,” said Melbourne International Airport Executive Director Richard A. Ennis. Under existing law CBP cannot be reimbursed by smaller airports for infrequent “seasonal” inspection services. The STAND for Tourism Act would change those restrictions and enable international charter flights into the state at no additional cost to the taxpayer. Florida Rep. Vern Buchanan is a prime cosponsor in the House and a similar proposal is pending in the U.S. Senate. Photo: Donning a Hawaiian Lei and sunglasses, U.S. 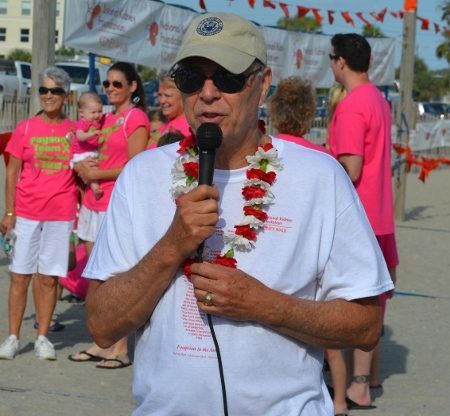 Congressman Bill Posey (R-FL) of Rockledge, Florida helped kick-off a 5K Kidney Beach Walk in Cocoa Beach, Florida on May 13, 2012. Brevard Times / File. Did Central Florida Benefit From An Obama Administration Conspiracy?